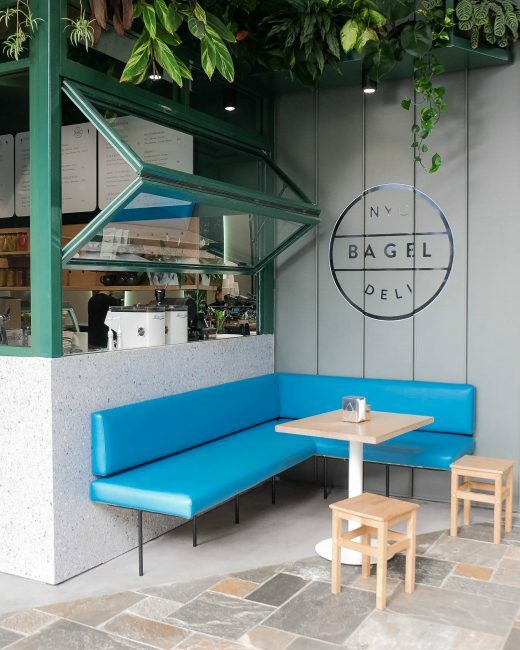 Various site constraints saw a different approach to the design of the shopfront for the newest retail offering from NYC Bagel Deli. 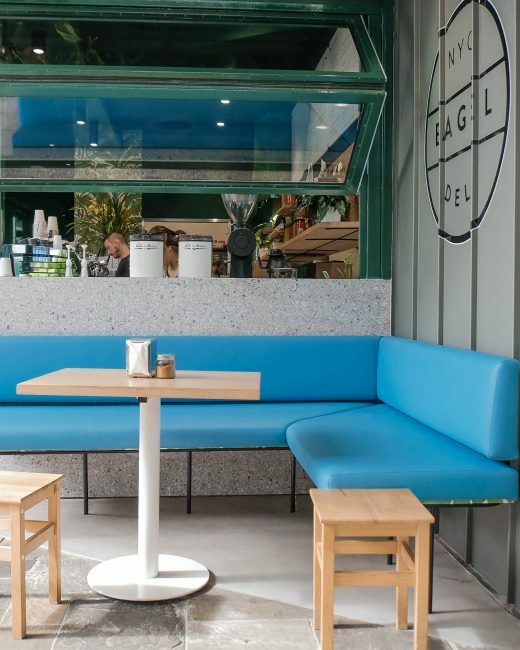 A tilt up servery window with bench seating under created an activated shopfront, while an elongated counter down the right hand side of the tenancy not only served to increase efficiencies in the use of space and service locations, but also afforded the inclusion of an upholstered bench seat down the length of the tenancy opposite, maximising customer numbers in store. 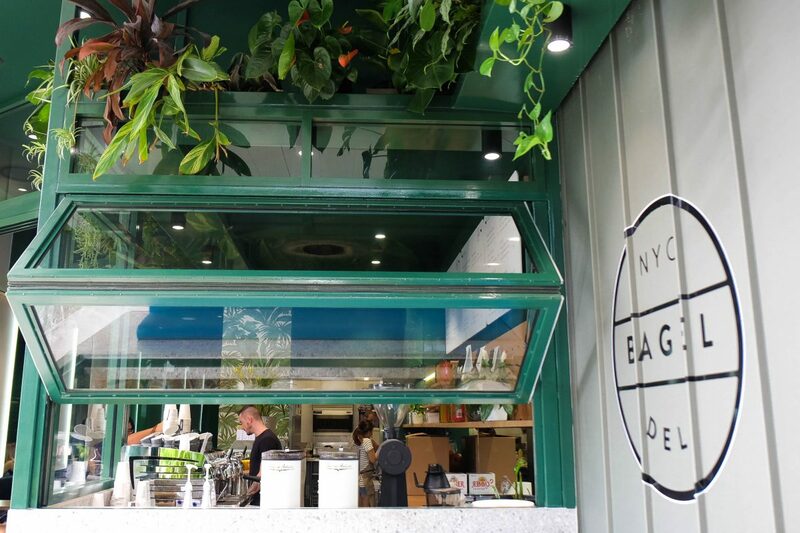 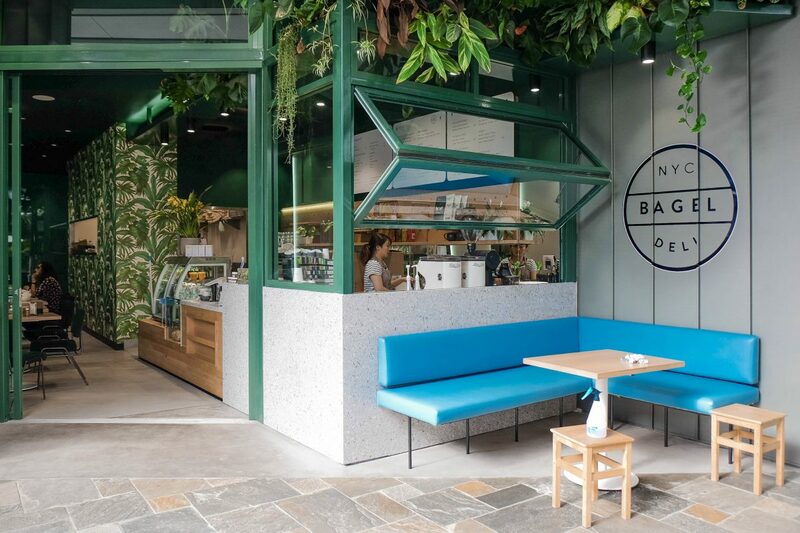 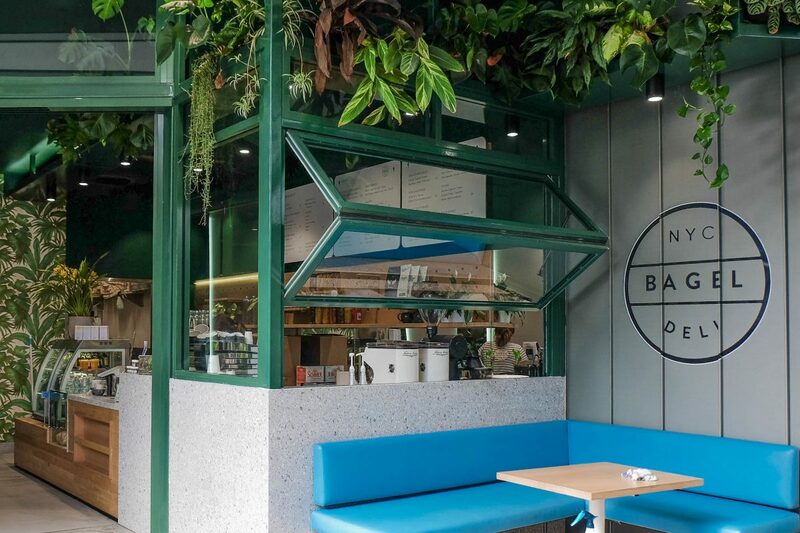 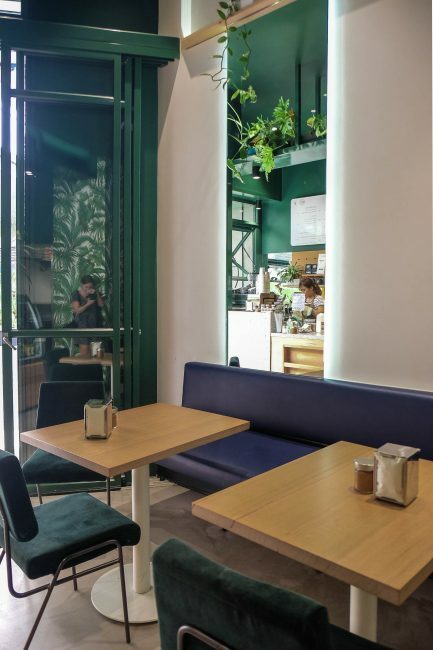 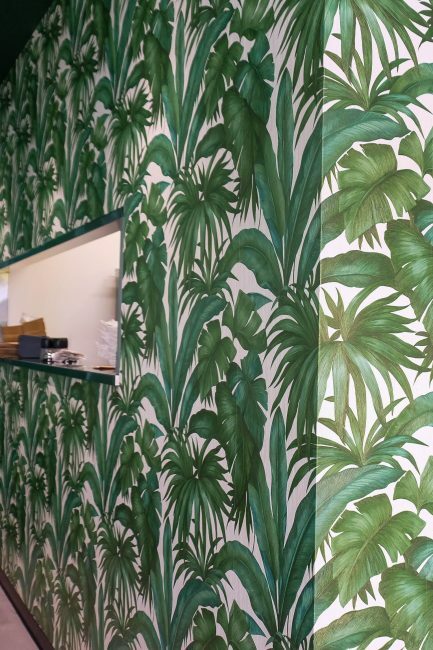 A lush, greenhouse inspired interior built on the tenancies sub-tropical location, and is enhanced by the surrounds of the new external Chermside food precinct.